In this part of my blog series on the dozenal system, I will talk about how we almost had a chance to use the dozenal system, and why, unfortunately, we likely never will. Before you read this, I suggest checking out the first three parts of this blog series here, here and here. Whenever i go the the US with my family, I always somehow get recruited to convert the speed limits from mph to kmph. Begrudgingly, i multiply any and all speed limit signs by 8/5 and get a somewhat accurate conversion, and am done until the next sign. One of the reasons that i find this so bothersome, is that the official method the US uses is not very compatible with the method I am used to. However, I am not the first person to feel that way. In the 1800s in France, the citizens living under Louis XVII felt a very similar way. All of the last French kings had tried to make the best new standard of measurements, such as a toise or Paris foot or pounce. The units of measurement were all based on the number 12, but were very inconvenient for the French society that used base 10. Although this was not the real purpose of it, when the French rose up during the revolution, they decided to make a new standardized system of measurements. They realized that for measures to be more convenient, the number that the system was based on had to be the same. At this moment, the French people were faced with what I think is one of the most consequential decisions in human history. They could basically decide if the world used a base 10 or base 12 system, and I think that they made the wrong choice. Instead of guiding us to an objectively better system of counting, they went metre centric, making all new weights and measures, and even a metric clock that has 10 hours in a day. 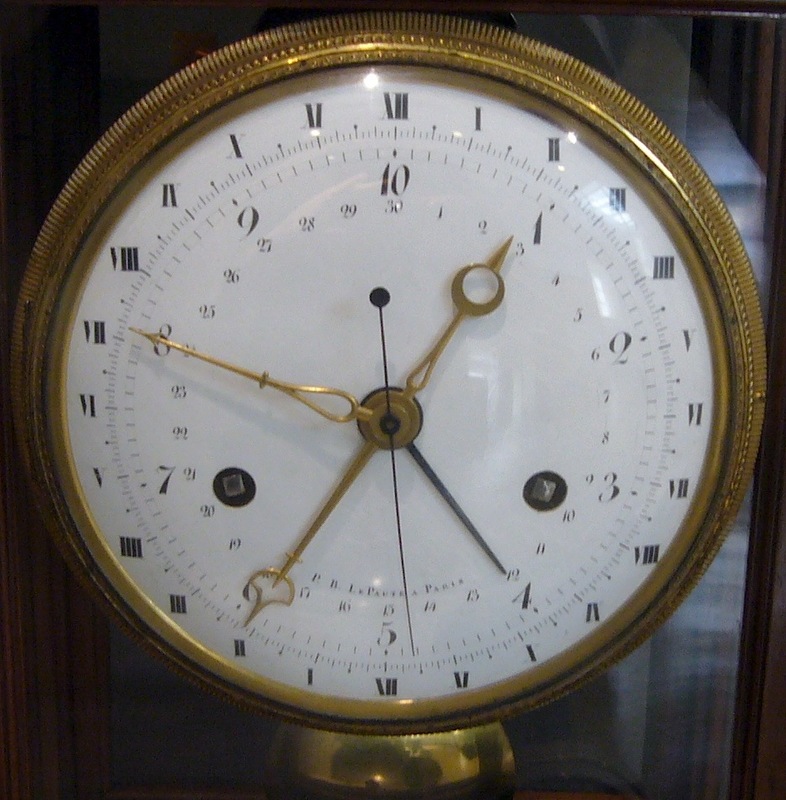 While the new weights and measures were wildly succesful, the clock essentially failed after a short period of time, because people were already used to 24 hour clocks. What we can learn from this, is that people like to keep using the system they have, because of the amount of trouble that changing causes them. All of this could have been rendered moot, had there only been a few more mathematicians in the room when the French this decision. This is also the reason that we will likely never change to the dozenal system, not only the hassle it will cause humans but how expensive it will be to change everything that currently uses base 10 to 12, such as computers, calculators and currency just to name a few. As sad as this is, to me and other dozenalists around the world I’ve enjoyed sharing what i know about the dozenal system with you over this 4 part blog series, and I hope, armed with the information I have shared, you can convince one more person to become a dozenalist.